This time is bigger than the last. Make a plan with the AMF Great Escape! 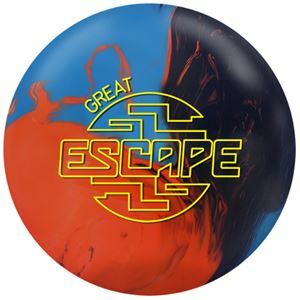 The Great Escape features the same CFT Asymmetric core. Its Continuous Flow Technology produces and strong midlane read. Pairing that with the extremely strong F80 Solid Coverstock, you'll see a ball that can't be held back by heavy oil. Make a run for greatness. The Great Escape provides the next evolution in the Escape series. The Great Escape's NEAT “E” 1,500 grit finish will handle higher volumes of oil.